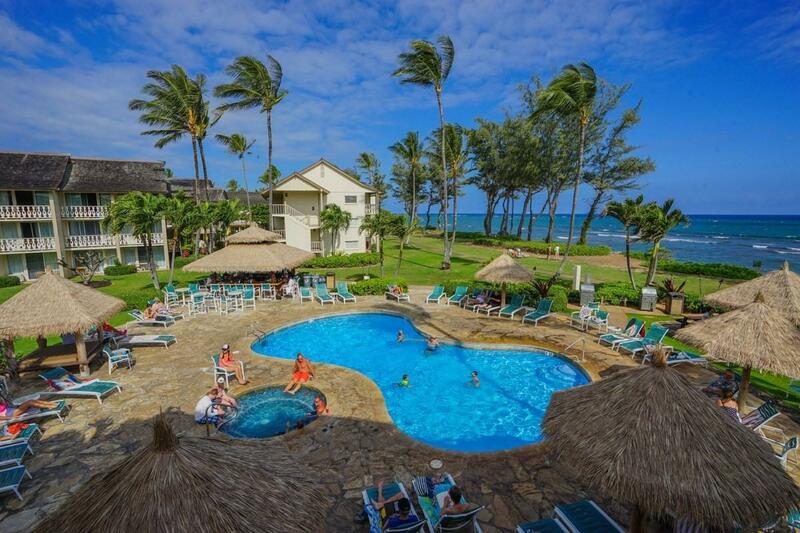 Sit on the lanai of this beautiful condo and enjoy a view of the blue Pacific Ocean!This desirable condo is a successful vacation rental and is managed easily by continuing in the rental program through the front desk. 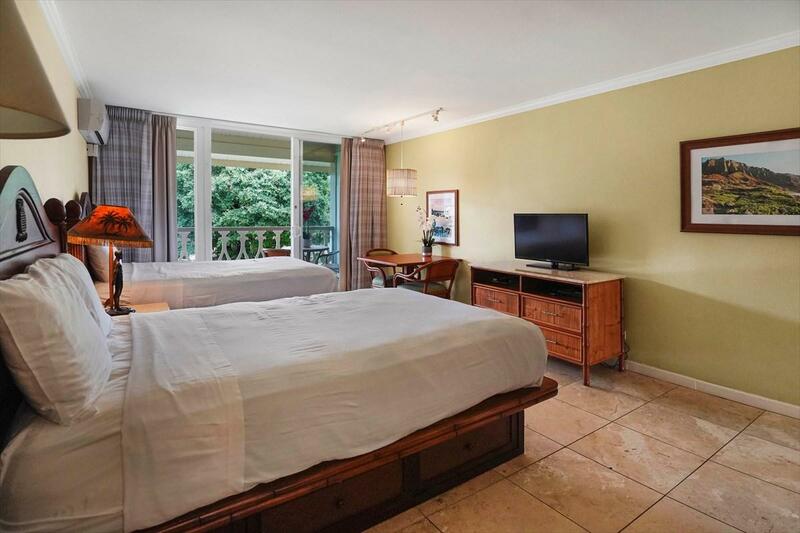 Fully furnished with tasteful furnishings all located in the heart of Kauai along the Royal Coconut Coast in Kapaa. Stroll from this beautiful property to shopping at the Coconut Market Place where restaurants and the beach are both just seconds away. 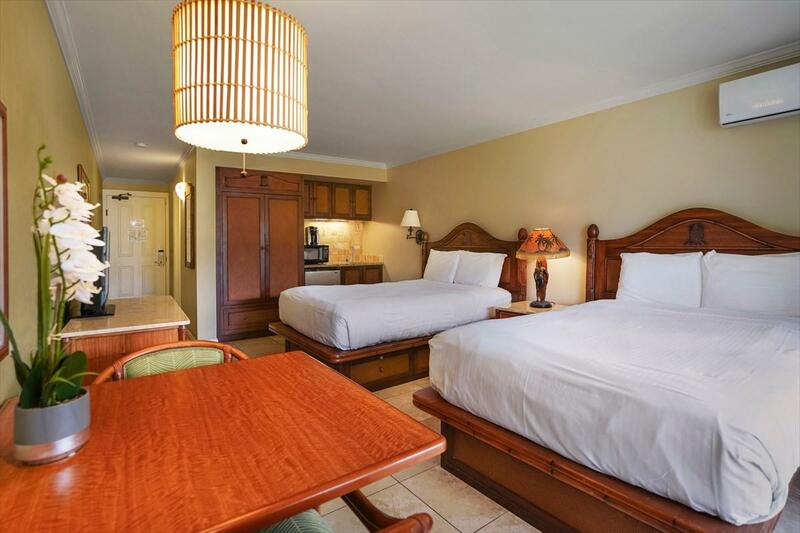 Ten minutes from the Lihue airport, this oceanfront Hawaiian Style Resort is set on six acres with lush landscaped gardens, swimming pool, beach access, and much more. 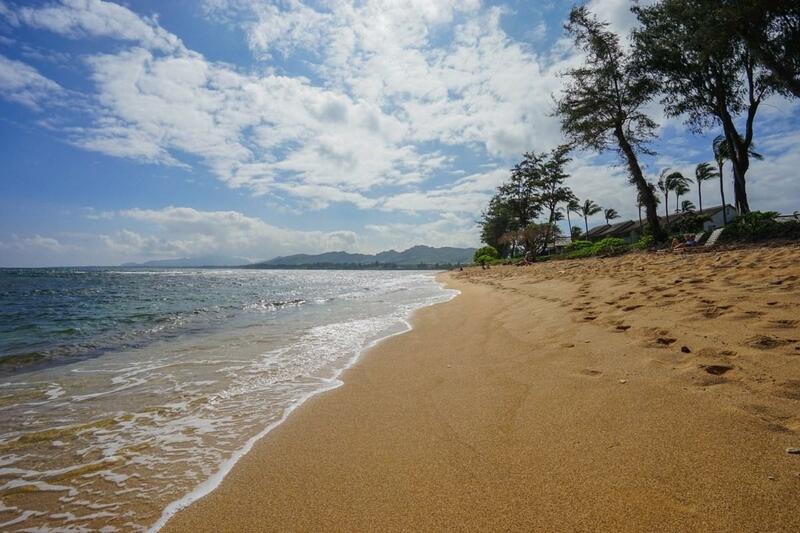 The Coconut Marketplace has a wide range of tourist and local services to help you enjoy all the fun our island offers.The scenic multi-use path that runs along the beautiful East side of Kauai will eventually follow the Kauai East coast from Nawiliwili to Anahola. Currently, this Kauai bike path offers breathtaking ocean and coastline views starting in South Kapaa and winding North past downtown up to and past Kealia Beach. Islander on the Beach was a hotel that has been converted and renovated in 2004 to condominiums. There is 372 square feet of interior living area for this studio unit. There is a total of 198 studio units and only two- one bedroom units in the development and each has one bath. There are eight three story buildings within the development.Islander on the Beach condo offers: Air conditioning, Travertine stone flooring, Wet bar, Wood cabinets, Granite counter tops, Under cabinet lighting, Under counter refrigerator-freezer, Flat screen TV, Electronic safe, Electronic doors, Open lanai, Hawaiian artwork and island-style furnishings, On-Site Management Company AvailableClose your eyes, sit back and enjoy this beach side condo Hawaii living at its best!A few seconds to the beautiful blue Pacific What are you waiting for? Dive in and own here at Islander on the Beach!